Batts Inc. entered the airport GSE industry in 1979 and introduced the Runway De-Icer Pro. The Runway De-Icer Pro was and is the best runway de-icing and anti-icing platform available to operators large and small. With truck-mounted, trailer-mounted, and slide-in configurations, the De-Icer Pro line covers the runways, ramps, and surfaces that snow and ice affect. The rock-solid Batts Inc. pumping system has been adapted to use on every traveled surface from equestrian race tracks to interstate highways. 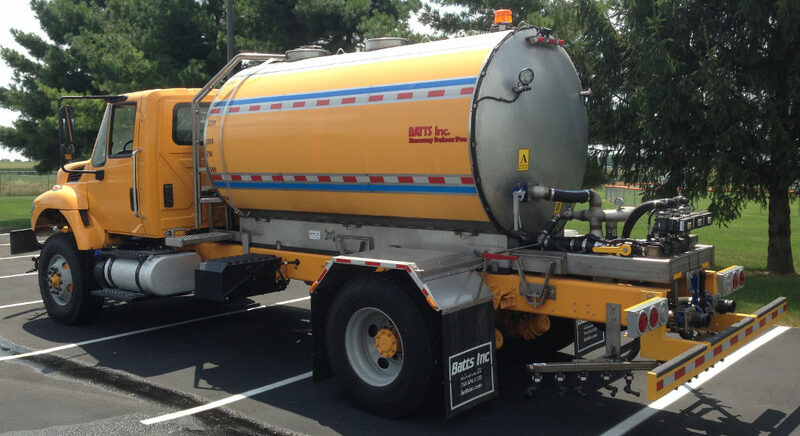 From runway de-icers, to water distribution trucks, street flusher systems, dirt track sprayers, highway de-icers, and to many other applications, the Batts Inc. system outperforms and outlasts. As an outgrowth of the successful adaptation of the De-Icer Pro for use by military aviation support, Batts Inc. has become a reliable source for the FOD*BOSS airfield sweeper and SIB snowbroom replacement bristles and cassettes, and other winter-operations and truck equipment. We offer a range of custom procurement solutions for maintenance and grounds support.